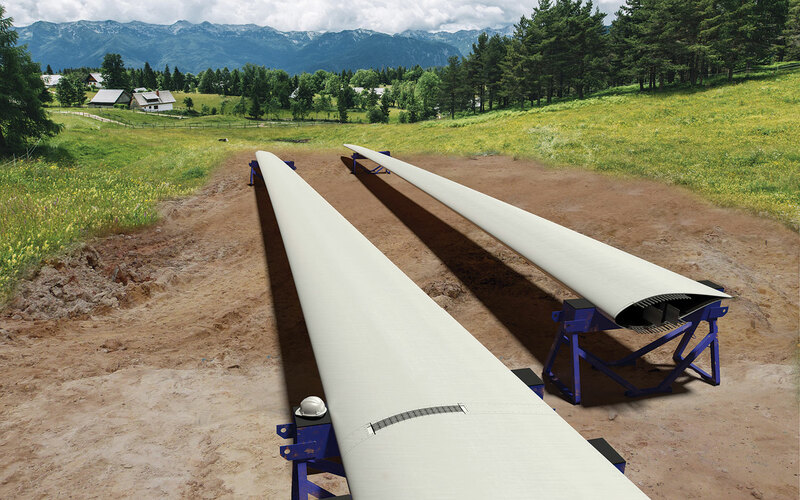 Nabrawind Modular Blade System (Nabrajoint) is a technology applicable to any wind turbine blade (existing or new) that allows manufacturing blades in two or more parts that are transported separately and assembled on site. 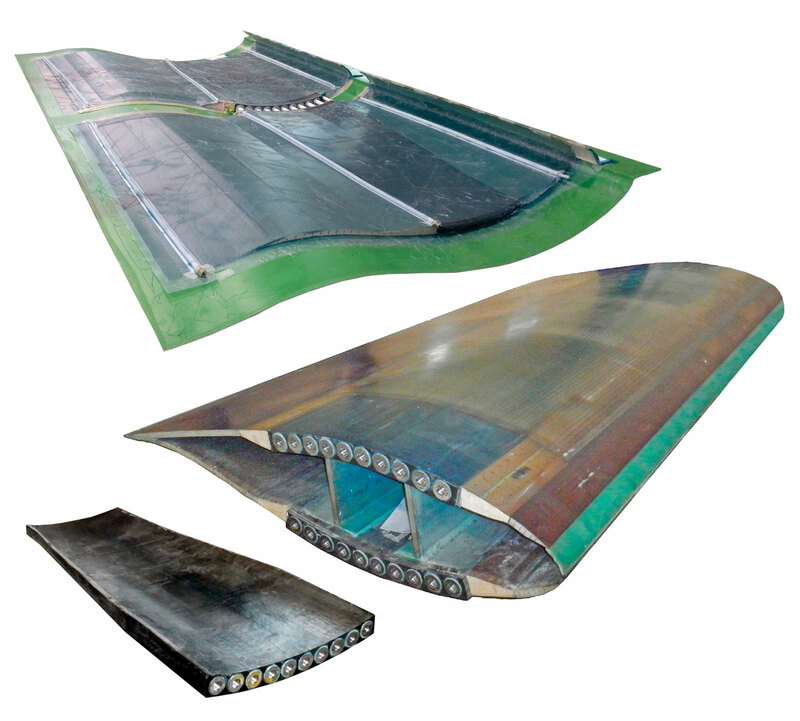 Nabrajoint technology is based on a bolted connection between blade modules with conventional, controlled and robust assembly methods. 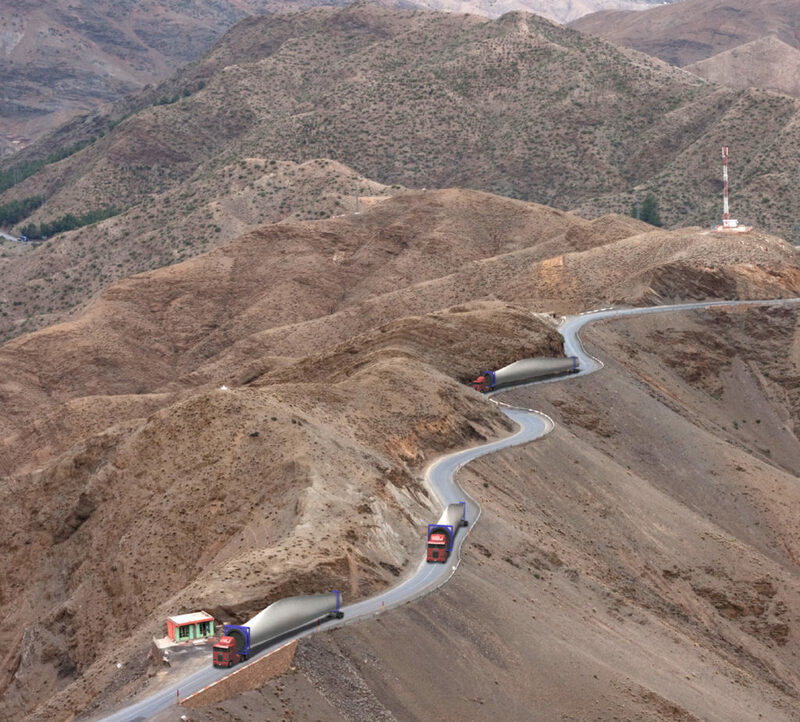 Relevant logistic savings are attained in New Wind Farms already for blades over 70 m.
Difficult access sites may become feasible with our Modular solution, allowing the exploitation of new promising sites with logistic limitations for standard blades. Moreover, it supposes an important competitive advantage in the incipient business of Wind Farms Repowering, with significant savings in the wind farm site adaptations and accesses modifications. Nabrajoint technology is conceived to be the most reliable, light and cost-effective segmented blade solution in the market. Our solution has been submitted to a strict certification process following the highest industry Standards, accrediting by means of different test campaigns a substantial increase of load carrying capacity with respect to the state-of-the-art joint solutions in the market. This outstanding load carrying capacity, together with the optimized joint elements design results in the most competitive modular blade solution in terms of mass and cost. 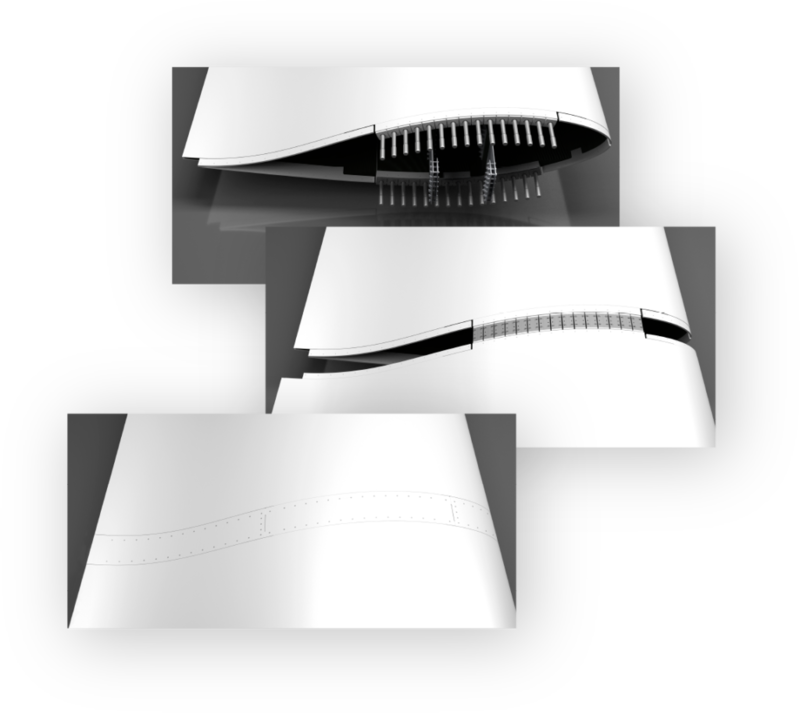 Nabrajoint is conceived to have a simple integration in the blade, without relevant modifications in the global design. The manufacturing process of the blade is not affected either: with no significant investments in the original production line, the process may be adapted in a flexible way to produce modular or standard blades as demanded. 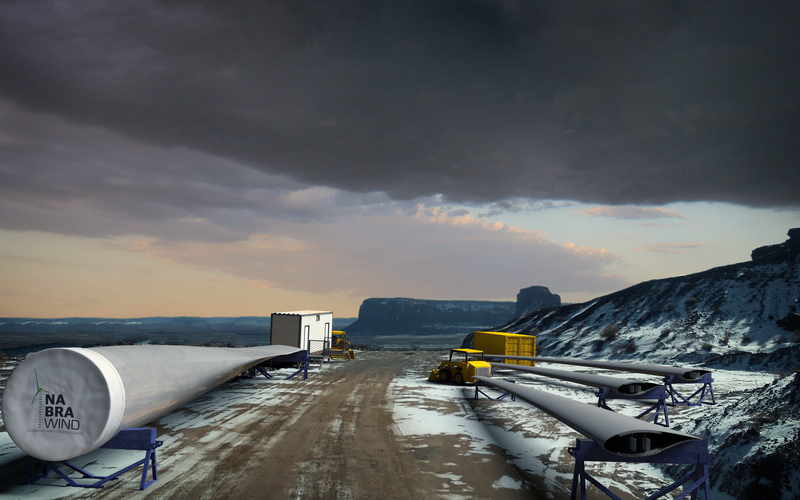 The blade assembly on site is completed also with a straightforward process, with fast modules coordination and assembly. Furthermore, in order to reinforce this process, a lightweight automatic tool has been developed to assure a quick and controlled tightening of the joint elements even in hard environmental conditions. The extremely high strength of the joint minimizes the number of elements. Metallic parts are minimized to reduce the joint mass. Blade modules simple coordination, with quick tensioning with automatic tool. Our patented bolted joint is extremely simple, robust and maintenance-free. First Nabrajoint prototypes, comprising a full-scale joint in a real blade segment, are already manufactured. One of these prototypes has been tested to demonstrate strength under operative loads. 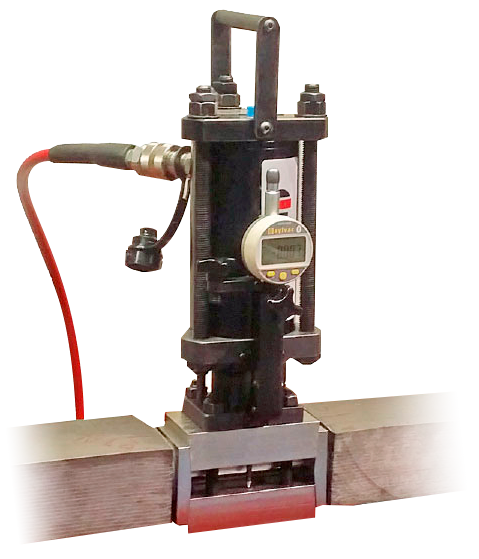 For this purpose, a program including the maximum loads expected on service and several millions of load cycles equivalent to the fatigue design loads has been applied in an innovative test bench patented by Nabrawind Technologies. An additional prototype has been used for the validation of the joint assembly process, confirming the robustness and reduced assembly times of our solution.